I’ve tried my fair share of seemingly-strange food combinations, but I have never thought to try combining tomatoes and chocolate in anything other than Mexican mole sauces. However, I read a story on NPR a couple weeks ago about how three Spanish chefs had created chocolate truffles with dried Nigerian tomatoes – and served them at the World Economic Forum, no less! The creations, “Bombom Kaduna,” were designed to raise awareness of the fact that 75% of Nigeria’s tomatoes are annually wasted. I wholeheartedly agree that food recovery is not the solution to hunger. These two articles do a good job discussing how poverty should be better addressed to combat hunger, but I also know that the problem of food waste warrants much more comprehensive strategies. 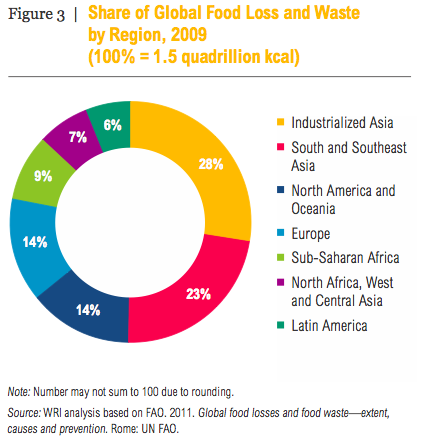 First off, it seems pretty impossible to recover the over 1 billion tons of food that are “lost” every year. Secondly, most of the world’s food waste stems from so-called first world, such as the United States and European Union, while most of the world’s hungry people live in rural Asia and Africa. The logistics of transplanting the excess of one country to another isn’t feasible on a large enough scale to feed all those in need. That is not to say that there are not food insecure people in the first world or that food recovery is by any means a bad idea. Donating to soup kitchens and food banks is an excellent use of surplus, even if it isn’t a solution to hunger or its causes. However, there is a danger that food donors might not take any other steps to prevent waste. After all, what’s wrong with generating excess when it’s going to feed hungry people? Well, not only does it dehumanize the hungry by treating them as garbage bins; it also encourages a food system that promotes overabundance, thereby waste. The best compromise, I believe, is one that my college practices. I am a student Food Recovery Network volunteer at the University of Rochester, and we freeze surplus from campus dining establishments to deliver to a local soup kitchen. Most importantly, we inventory the kinds of foods being donated so that the school can see what foods it can afford to cut back on. For instance, we now find ourselves donating far fewer bagels than we did four years ago, when they constituted the majority of our inventory, because the school has adjusted to the apparent lack of demand. Food recovery is not the be-all, end-all solution to hunger or food waste. However, it’s a good step in the right direction and brings attention to these critical issues. This June, a group of people from the World Resources Institute under the supervision of Brian Lipinski carried out a review giving us a broad look at the issue of food waste. You can find the full document here. The data used for the study was taken from the FAO database that was recently updated with a simpler design. I really recommend a visit to their site because one can find many interesting and useful information related to food production or consumption (http://faostat.fao.org/). 5. Accelerate and support collaborative initiatives to reduce food loss and waste. Among other very interesting information provided by the study we could also observe data of food waste divided by commodities. Looking at the caloric value the produce that is most wasted are cereals. It is not,maybe, a shocking piece of information considering its small weight. Another reason for the 53% is that cereals are the most common produce in the whole world and moreover are the cheapest caloric input we can find. Considering the environmental impact of meat production it is good to see that there is relatively little meat loss in the world (only 7%). Looking at food waste by weight the situation change drastically. 44% of all wasted food stands for fruits and vegetables. It is mostly due to their richness in water. 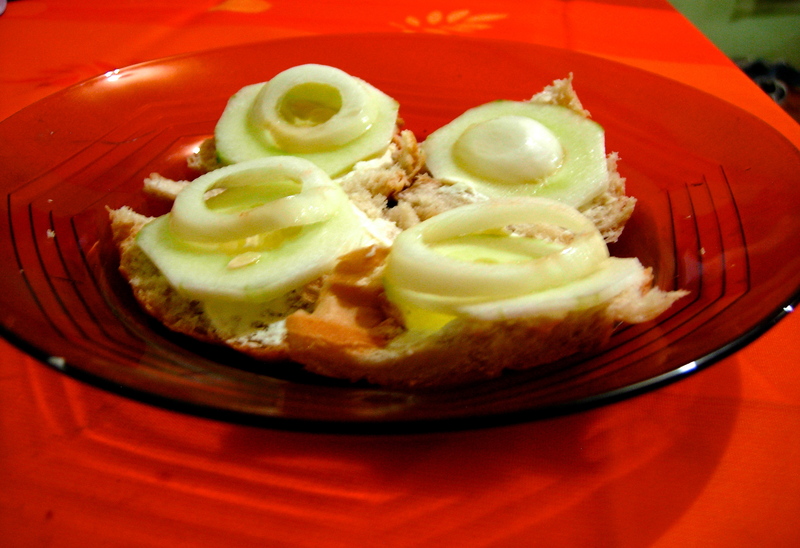 A cucumber consists of 97% of water so its caloric value is really small compared to its weight. These are only some of the many interesting data analysis given by the authors of the study. You can also find many solutions for food waste reduction. 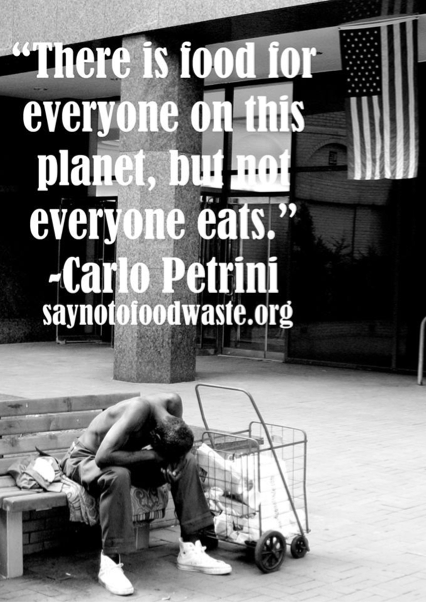 A relevant importance is given to postharvest waste, which we will cover in the next blog post at Say No To Food Waste. 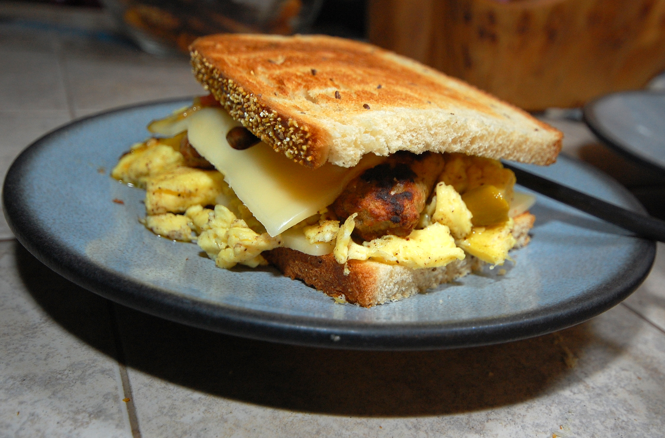 Recently I saw the new documentary on the food situation in America called ¨A Place at the Table¨. Its main message was to show how big the problem of food insecurity is in the USA. It is not a new topic, however any person willing to get an answer to the question, why so many of the richest country citizens every day have to think where the next meal will come from, will want to see it. I think the moment that hit me most was when Jeff Bridges (Actor and Hunger Activisit) was talking about a movie he produced in 1996 ¨Hidden in America¨. It is a story of a family struggling everyday to get food. As Suzuki’s speech from 1990 still stayed fresh, so did the story told in this movie. And maybe, the situation is even worse. In 1996 there was about 35 million Americans living below the poverty line. Now, 1 in 7 Americans may be feeling hungry every single day, which accounts for 50 million Americans. It is more than the population of my country, Poland (38 million)!!! Many people think that it is because there is not enough food (an opinion favored by the big agro businesses). On the other hand America is net exporter of food according to FAOSTATS (more than 50% of products made in America are exported) and is the country with one of the highest rates of food waste in the world (approx. 50%). Why is in then that a country with so much income per person a year is on the last place on the ranking: the most food secure country in the OECD? There is no one right answer. During Nixon´s presidency the US government has initialized many projects and increased the Food Stamps budget, in order to end the problem of hunger forever. And it was working very well. Unfortunately, Regan’s office thought that the government shouldn’t deal with such problems and more space should be left to charities. So they did and now the results are shocking. The statistics show that 1 in 2 children in America will have some experience with hunger and food insecurity. The problem of food insecurity is obvious. There is also another side of the coin, which is probably even worse for both, the society and the government. Because of the poorly managed food system the poorest Americans cannot afford healthy food. A bag of chips can cost 0.30$, while a pound of apples costs 2.30$. These examples are of course almost unlimited. This is a result of the US Department of Agriculture subsidies policy. 84% of subsidies go for such as produce: corn, cotton, wheat, soy and rice but only 1% is devoted to fruits and vegetables. Because of such policy in the past 20 years prices of processed food went amazingly down and relatively prices of fruits and vegetables went up. That means that an average American is more likely to choose chips over more expensive apples. For us the challenge is slowly getting to its end. We know very well that with this we cannot say we had an experience with living below the line of poverty. All we had so far is a slight example of how it might feel to eat on $1.5 a day. And, our experience is only valid for Ecuador. For us, people who love food in almost any form, its diversity and different tastes the hardest part is the lack of variety; the variety that we were used to in our homes. This is our main reflection and conclusion from the past few days. People living below the line do not have the opportunity to experience variety and diversity of food. As we know, experiencing new things or tastes is very enriching. We can learn about new cultures, maybe new people and definitely we can explore ourselves. Of course, poor people rarely have the possibility to create new experiences in many areas of their lives, not just food. We believe it is one of the fundamental advantages that people coming from favored backgrounds have over people below the line. But one is sure – having a meal with fruits and vegetables should be accessible to anyone, not just the rich. And more needs to be done to even out the buying power of the have and have-nots. In every country there is a significant diversity of food, but from what we have seen, especially in rich countries, healthy food is expensive. The most important reason for it is that the governments subsidize only some type of products, mainly those being produced and processed by big food companies, such as corn, cotton, soybeans, wheat and rice. We believe that everybody should have the right to have access to a higher diversity of food and the subsidies should be divided in a more equal way among different types of food. For example, fruits and vegetables should receive more than 1% of government funds. With small changes to how our food system is funded and governed we can make big and positive changes in the lives of millions of people. Do you know what it means to live below the line? Neither do we. But starting this Monday and all the way through Friday we will. Live Below The Line is a campaign started by two guys from Australia, Rich Fleming and Nick Allardice. Their challenge was to live on $1.50 a day for 3 weeks. They picked $1.50 because that is the accepted global figure for extreme poverty. Why would we do join this campaign you ask? Because we as humans can try to understand many things, but the best way we learn is through self-experience. For 5 days we at Say No To Food Waste will live below the line and get a small glimpse of what it is like to be poor and hungry because the salary you earn isn’t enough to get you through life. Everyday we will document the food $1.50 can buy us in Macas, Ecuador. Since Ecuador is relatively cheaper than the US, we know our small amount of money could go a long way. For some though the reality is worse. That’s why we ask that you join us in this challenge and send us photos of what $1.50 could buy you where you currently live. To learn more about the project click here. 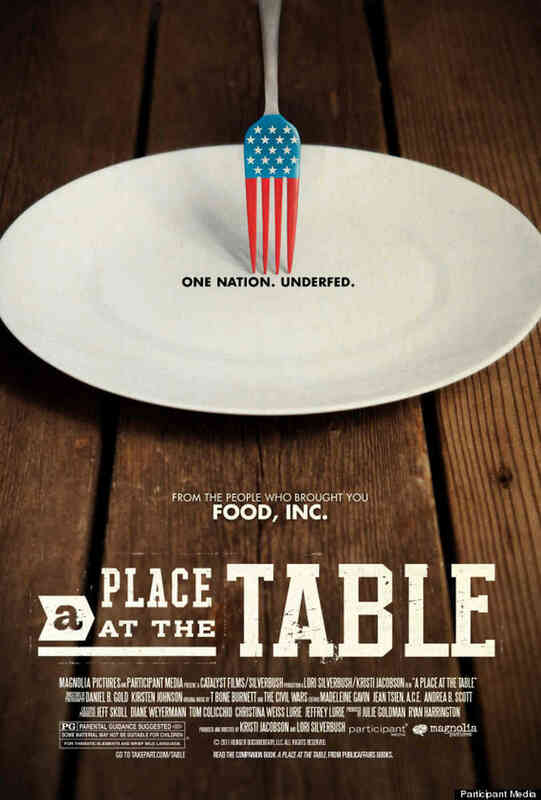 To see a great movie on what poverty is and food insecurity is like in one of the richest countries in the world, The United States, watch A Place at the Table. Together we will see what it is like to be poor and hungry with so much wealth and food around. City of Lodz starts “The First 1000 Days” program. In Lodz, Poland a local Food Bank named after Marek Edelman has started to organize a series of educational workshops, talks and meetings to place more importance on the first 1000 days of our lives. It is part of a bigger campaign initiated by the foundation NUTRICIA called “1000 First Days for Health”. “Together with our 200 partner NGOs we will be also distributing flyers and posters all over our city and region. We have also set up an information point in the local Food Bank, where you will be able to get advice on principles of the correct nutrition process of little children and pregnant women. A dietician will be available for private consultation and all interested will be able to use internet for more information” – said Pawel Drobnik, the project coordinator of the Lodz Food Bank. 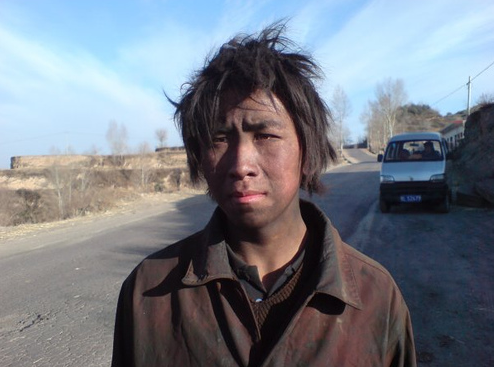 A couple of months ago I shared a link to an article from the Huffington Post written by a 17-year old Brett Hahn. He started by asking a question what is the most important thing that your parents have done for you? The answer to this question lies within the first 1,000 days of our existence; from the time that each of us was just a fetus in the womb to the age of 2, our parents properly fed us. One of the main reasons for malnutrition among the developing countries is the lack of awareness on this important issue. Many women don’t even realize how fundamental breastfeeding is. Breastfeeding is the single most effective nutrition intervention for saving lives. If practiced optimally, it could prevent 1 million child deaths each year. In developing countries those children that are fed by their mothers are at least 6 times more likely to survive. In addition to that, during the first 1000 days of our life we develop and build one of our most important muscles – the brain. Proper nutrition helps us build all of our vital organs in the right manner so as to be used for the rest of our lives. Apparently people that were properly fed during their first days are able to earn 20% higher wages. Unfortunately, the global cost of malnutrition related programs oscillates between $20 to $30 billion. Maybe spending more money on this kind of support will help us spend less money on other issues such as military services or curing diseases caused by malnutrition.